Francesco Cafiso was born on the island of Sicily, Italy, on May 24, 1989. You're right. As of this writing, this "phenom" who's taking the world of jazz by storm is only 17 years old and technically still a high school student! 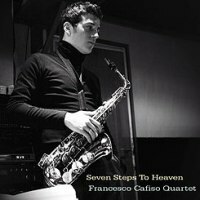 A prodigy on alto saxophone, Francesco took his first professional steps, working with internationally famous musicians. Meeting Wynton Marsalis in Pescara at a jazz festival in July 2003 was a decisive moment for his career. 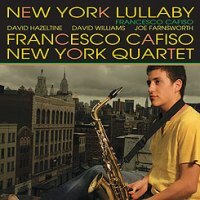 Amazed by Francesco's qualities, Marsalis took him along with his septet on his European tour 2003, where he performed in prestigious theatres in the largest cities in Europe. After winning many prizes in Europe, Francesco went to New Orleans to improve his English and more importantly to experience new musical styles and genres. He has also spent some time in New York. 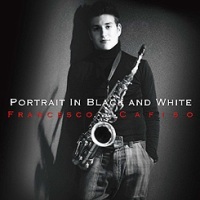 Francesco has performed with greatest musicians: Hank Jones, Cedar Walton, Mulgrew Miller, Ronnie Matthews, Jimmy Cobb, Ben Riley, Ray Drummond, Lewis Nash, James Williams, Joe Lovano, George Mraz, Joe Locke, Enrico Rava, to name a few. With amazing technical facility, Francesco seems to be able to do ANYTHING he wants to do with his horn. His strong and sparkling sound strongly reminds jazz fans of Charlie Parker and Phil Woods. And the greatest thing about him is that he's growing fast. Every album (he already has a few under his own name) shows his musical maturity. 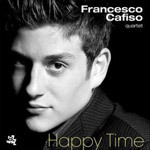 Francesco Cafiso is a truly exciting new star. Remember his name, because you'll hear a lot of him from now on. Better yet, buy his CDs and prepare to be blown away!